Hardly think it’s appropriate for me to offer advice to aspiring writers given that I am one of those myself. However, there are a few things that I have done which have assisted me with my writing. •	Register for a writing course. It wasn’t until I began on my masters degree that I realised that I knew nothing about structure, characterisation, plot, narrative, genre and a host of other essential ingredients that make a good story. Local colleges and theatre groups also run sessions on writing which are not as expensive as university. I have undertaken two sessions of a Writing for Stage course which I found extremely helpful. It’s also good to be mixing with other writers. •	Start a blog and write about anything. •	Join twitter. I follow dozens of writers and it’s a great way to communicate with one another. There is also a valuable twitter forum called #scriptchat where a different member of the industry is on hand on a Sunday evening to answer any questions that are tweeted (in 140 characters though). •	Write for e-zines. The more articles you have published, the more of a portfolio you create for yourself. •	Write every day. I cannot stress that enough, the more you write the better you will get at it. •	Make contact with other writers, it can be a lonely time so being able to communicate with somebody who knows what you are going through makes it seem all the better. 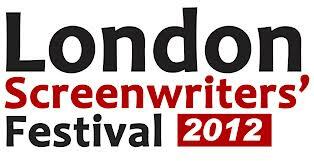 •	For any scriptwriters, go to the London Screenwriters Festival in October. I went for the first time last year and it was well worth the money. There are so many guest speakers and workshops and I felt so motivated after the weekend. I cannot wait for this year’s festival, and I may just be brave enough to pitch my current project to industry members. This entry was posted in Blog, Writing and tagged #wpad, blogging, festival, Festivals, London, london screenwriters festival, Networking, scriptwriting, theatre, writing. Nice little tips, completely agree, they will all help.